Living closer to their indigenous heritage than perhaps any western culture, the Irish hold great wisdom for living in right relationship with community, the land, and the sacred. Through many journeys to Ireland I’ve gathered and written stories reflecting this wisdom. Here is a sampling. One more thought. I understood from your comment that you have read the stories…you might also be interested to read some of the recent posts I’ve done since here. And if you look back to the posts from last August you will read about the tour of women…amazingly spiritual and powerful. I am actually in Ireland now…hence the delay in responding to your emails. First, thank you so much for visiting the site and reading the stories. I am honored. I am leading small groups here in September. 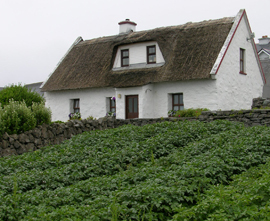 The information is on my blog under the Ireland Travel page link. And although it indicates my needing to know earlier…I still have folks signing on. I would love to explore your joining us on either tour. Look over the information on the tours..and perhaps email me: judith@stonefires.com. The best way to communicate. Also…I do have a phone over here and could absolutely ring you for a bit of a conversation. Am here in Ireland now for my book launch tour. The book is being so very well received. I am over the moon thrilled. More on the book on my Books page on the blog. Any information I can give you to support your travel to this amazing land…please let me know.